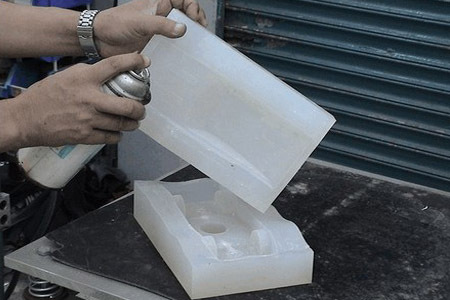 Abstract: silicone mold is a method of rapid tooling, production process is: preparing mold, mold frame production, fixed mother mould, weighing, mixing and curing agent of silica gel silica gel, silica gel, silica gel vacuum exhaust bubble perfusion, mold solidification, mold to complete pruning. 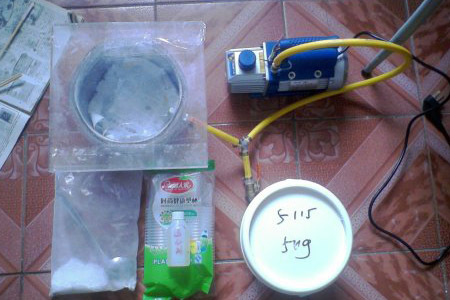 Tools and materials: two-component silicone (silicone + curing agent), plastic, electronic, glass, adhesive tape, glass rod, release agent, scissors, knife, glue gun and glue, paint. Remove the burr and support of the mold with a knife, and pay attention not to damage the surface and detail. Trim the sample according to the drawing requirement to ensure the dimension precision of the die. 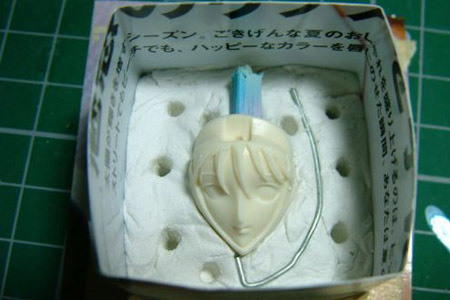 Release the release agent evenly on the surface of the mold, and pay attention to the deep hole or narrow slot. Confirm parting line and mark with parting mark. 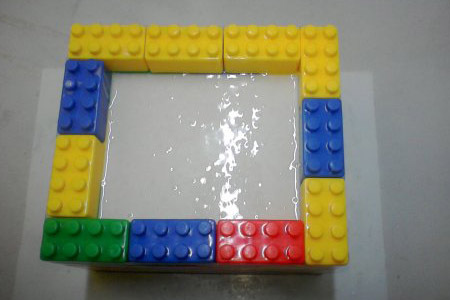 Use hot melt glue gun to stick mold frame to prevent silica gel from flowing out of the gap. 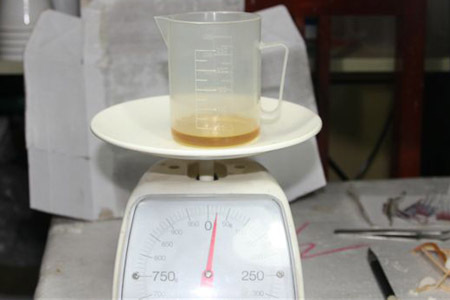 According to the die size of unilateral increase of about 20 ~ 40mm under “. Place the die in the middle of the die frame and fix it in the die frame. According to the proportion of A and B supplied by the manufacturer, it is accurate. Remember to weigh by weight rather than by volume. The weighing silica gel and the stabilizer are poured into the same container to be mixed. Be sure to stir evenly, otherwise it will be partially cured and partially cured, affecting the number of turns. Stir the silica gel and the curing agent into the vacuum machine to remove the bubbles. Vacuum time should not exceed 10 minutes, too long will produce cross-linking curing reaction. 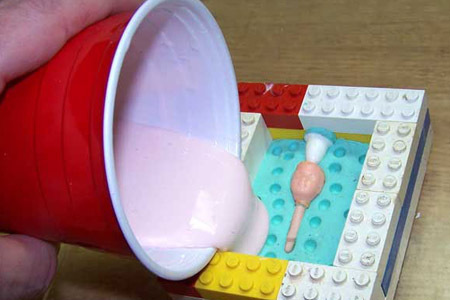 Place the bubbles of silica gel into the mold frame. 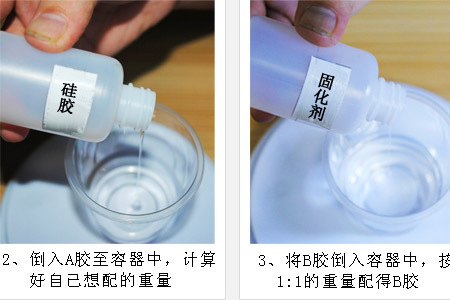 Pour the silica gel to completely cover the mother mold, the top to increase 20 ~ 50mm. Using the airbrush in blowing bubbles blown out to the surface of the silica gel. 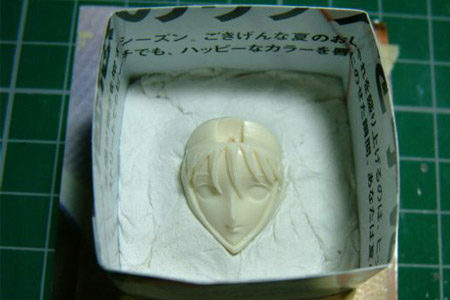 Place the mold in which the glue is filled and wait for curing. The optimum temperature of curing is 20~30 DEG C.
If the temperature is below zero, the oven can be heated and cured. After complete cure, locate parting line mark and cut. It shall be ensured that the mother die is released without any external force or less force to prevent the deformation of the silica gel die. Trim the excess silica gel with the scissors. After trimming, complete the whole process. 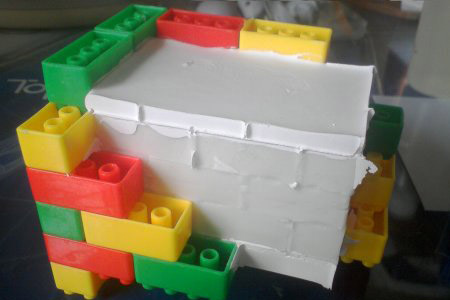 This entry was posted in silicone molds and tagged silicone mold.